About | Law Offices of Kirsten Brodsky, Esq. Law Offices of Kirsten Brodsky, Esq. 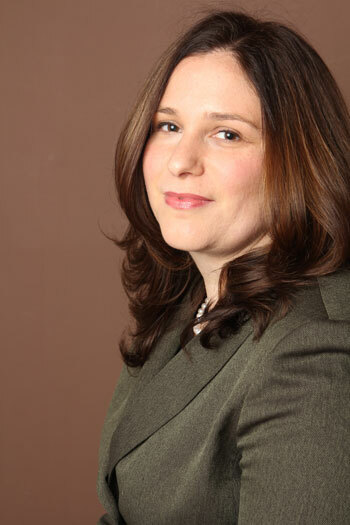 Since 2012 Ms. Brodsky has headed her own practice at Law Offices of Kirsten Brodsky. Her practice is constantly evolving and improving to accommodate the changing needs of New York families. My firm’s approach is client-centered. I strongly believe each person or family has its own needs and therefore deserves an individualized strategy. Because I have a strong background in litigation as well as negotiated and mediated divorce agreements, I am uniquely qualified to tailor a strategy that works best for you. I have spent my career specializing in matrimonial and family law and have reached many advantageous settlements on behalf of my clients. During every phase of your case your opinion is paramount in planning our legal strategy. When you are facing a transformation in your family such as divorce the choices on how to proceed can be overwhelming. Friends, family, and the internet provide much information, which can be difficult to process. For some, a mediated divorce is appropriate while others prefer an attorney to negotiate a settlement on their behalf. During a complimentary 15-minute assessment call I will personally explain your options and guide you toward a decision that is right for you and your family. I was an attorney in the Matrimonial and Family Law Unit at the New York Legal Assistance Group (NYLAG) from 2006 through 2011 where I practiced predominantly in the area of matrimonial law. At NYLAG I represented clients in complex custody and visitation cases and successfully litigated custody cases with a decision in favor of my client. I also represented clients in cases involving the distribution of marital property, spousal support (maintenance) and child support. While at NYLAG I supervised newly admitted attorneys, pro bono attorneys and law students in all aspects of matrimonial cases. I have taught multiple continuing legal educations programs directed at pro bono attorneys and newly admitted attorneys in contested and uncontested divorce proceedings. Prior to working at NYLAG, I was a summer associate (2003-2004) and then an associate (2004-2006) at the law firm of Kupferman and Kupferman where I represented clients in divorce proceedings. I graduated from New York Law School in 2004 where I was named to the Dean’s List and received the Chief Justice Bird Award for Public Service. I earned a degree in Russian language from Bryn Mawr College in 1996 and I am fluent in Russian. I have been a member of the New York State Bar since 2005. I am certified in Family and Divorce Mediation by the New York Center for Interpersonal Development and I am a member of the New York Women’s Bar Association and the Family and Divorce Mediation Council of Greater New York. During every phase of your case your opinion is paramount in planning our legal strategy. Litigation is the most expensive and highest conflict way of settling a divorce or family case. Typically in litigation, both sides are represented by attorneys and have regularly scheduled court appearances. A litigated divorce ends with a decision by a judge. Negotiation is currently the most common way to settle family law matters. In a negotiated divorce each party hires an attorney. The attorneys exchange financial information, settlement proposals are exchanged and often a “four-way meeting” is conducted in which both parties are present with their attorney. A negotiated family law case ends with a decision that is made by the parties with the assistance of their attorneys. The agreement is then drafted and executed by the parties. Mediation is a process in which a third neutral party facilitates and empowers the parties to discuss, make decisions, and ultimately craft a divorce agreement. In a mediated agreement the parties make all the decisions and the mediator only acts to facilitate the process and provide information about the law. For more information about these options see my May 2018 blog article. I was lucky enough to find Kirsten Brodsky to step in and work on my divorce and custody case after disappointment with my first attorney. Throughout a difficult trial (with a good outcome), I relied on Kirsten to fiercely advocate for my child and myself, and she always came through. Not only did she have the knowledge to advance our case, but she understood how hard the process was for my family and gave valuable advice. Kirsten prepared before very court appearance and also prepared me so that I knew what to expect in court. I will always be grateful to Kirsten Brodsky for her diligence and understanding at a most difficult time and recommend her to anyone in need of family law representation. Thank you. I searched online and didn’t want to spend big bucks to the big law firm layers, just want to find a neighborhood lawyer who can help me on my prenup. I also did ask around for recommendations, but I am very glad I found Kirsten on my own. She is honest and always clear and up front with things might happen. Her fee is very reasonable and never making unnecessary work hour just to make more money, she does what she says. No surprised bills ever. She is always available for you and gets back to you right away. I highly recommend her and appreciate what she did for me. Now we are happily married and thank you Kirsten! Every situation is unique – this was an especially difficult case because the financials were difficult and my ex husbands was pretty aggressive and mean. Kirsten kept the process moving and came up with good strategies to overcome a difficult financial situation. I would recommend her to anyone who is looking for a legal partner to get a divorce done in a collaborative manner – she makes you see both sides so you can come up with a winning strategy. Kirsten, I can’t thank you enough for getting us through the touch times and being an advocate (literally) for J and me. I have interviewed several family lawyers in NYC and Westchester County, NY, and was referred by a lawyer in NYC to Kirsten Karen Brodsky. After I explained Kirsten Karen Brodsky my current situation and legal challenges, Kirsten Karen Brodsky immediately provide me with some local legal resources and pointed me to the right direction. She is client centered and care first about her client’s interest and well being, unlike some of other family lawyers who just care about money and the possible lien put on client’s house. I am so pleased finally find an ethical, effective and caring lawyer who cares about my legal and financial well being. Kirsten Brodsky was a pleasure to have represent me. She worked diligently and paid attention to details. She was always available by phone and gave good advice. I would definitely recommend her. I approached Mrs. Brodsky for a consultation regarding an existing yet dated child custody and visitation agreement. She was timely and accessible with all my questions and concerns. She was through with her responses weighing all sides. She had a strong grasp of the law and how judges side: in the best interest of the children. She helped me organize my case and provided supportive material. I wouldn’t hesitate in using her services going forward should the need arise. Kirsten was my divorce lawyer. She was absolutely fantastic. She is a very clear communicator–translating complicated law into easy to digest language–and she turns things around quickly. Critically, Kirsten’s fees are very reasonable and she never pads her charges (e.g., charging 2 hours for something that took her 30 minutes). Her advice on how to handle the emotional and financial burden of a divorce was also fantastic. Highly recommend! New York Law uses equitable distribution to decide how to divide assets when a couple divorces. Equitable distribution is different that equal distribution in that the standard calls for the assessment of a variety of factors in dividing property, rather than just splitting the property 50/50. Typically, a five-step approach is taken to dividing the property. 1. Assets and liabilities are identified are both considered marital. This means real property such as a home, apartment, investment property or weekend house. Bank accounts, cars, retirement accounts, pension, credit card debts and bank loans, among other things, are also considered. 2. Characterize property that came into the marriage. Property that was gifted to one spouse or inherited is considered separate property. Property acquired during the marriage is considered marital property. 3. Evaluate the Property. Some property has a clear value like a bank account, however some property like businesses, pensions and real estate might need to be evaluated by an appraiser to determine the value. 4. Allocate property – Once the property has been identified, characterized, and evaluated, a decision is made about which party will retain each piece of property. 5. Distribute property – the final step is distributing the property as per the agreement in step 4. Transfers between spouses and equitable distribution are not taxable events. Ms. Brodsky combines her vast experience in family law, with empathy and enthusiasm for helping New York families in transition. The legal standard for determining custody is the best interest of the child. This is another way of saying whichever parent or parents is best able to care for a child physically and emotionally should be the parent with custody. In determining custody two areas are considered: 1) legal custody is defined as who makes decisions for the child; 2) physical custody is defined as where the child lives. There are many different creative ways of constructing a parenting plan between two parents. Child support is governed by a law in New York which is called the Child Support Standards Act (CSSA) Section 240 of the Domestic Relations Law or Section 413 of the Family Court Act. The CSSA outlines a formula for determining the correct amount of child support. Child support is paid by the parent who does not have custody to the parent who does have custody. In the event that the parents have joint legal custody and share parenting time equally, the parent who has a higher income will pay child support to the parent who has a lower income. The income is determined by a variety of factors including, wages, benefits and income from business or property. The paying parent will pay a percentage of their income, after certain deductions are made, depending on how many children they are supporting; for one child it is 17%, two children it is 25%, for three children it is 29%, for four children it is 31%, for five or more children it is 35%. Spousal support is sometimes called alimony or maintenance. The New York Law for spousal support is governed by Domestic Relations Law 236. The law sets forth a formula to determine the amount and duration of support paid by the spouse who earns a higher income to the spouse who earns less income. Spouses and ex-spouses can execute agreements before they get married (prenuptial agreement), after they are already married (postnuptial agreement), after they are separated (settlement or separation agreement), or after they have already signed an agreement and need to modify some of the terms. The Law Offices of Kirsten Brodsky, Esq. Please fill out this form to schedule a complimentary fifteen minute assessment call. In the message section please indicate 4 dates/times when you are available for a call. Assessment calls are made Monday through Friday at either 9am or 12 noon. DISCLAIMER: The information presented on this site is for general information only and should not be construed to be formal advice nor the formation of a lawyer/client relationship.